“Coping with the Effect of PTSD and Family Holidays…” A joyful Christmas wish to all from Mexico! 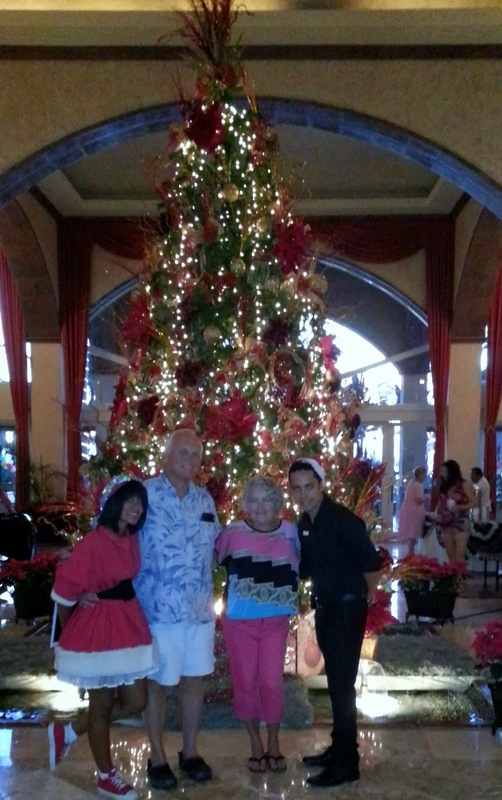 Steve & Judy celebrating the season in Bucerias, Mexico! The holidays are far more joyful for me these days since researching and writing my book. I am now fully aware of the circumstances and symptoms of life after trauma. Although still a work in progress, it is so much easier to keep the pain of the past at a safe distance. I now look forward to the holidays with my family and friends. I engage with pleasure and joy with loved ones in all the preparations and celebrations rather than escape to the “blanket fort” of the past. I spend my time counting our blessings and the spiritual meaning of this season of joy. For me, helping others, focusing on loved ones, and things larger than myself creates new and positive memories during the holidays. The best part is knowing that my own outward expressions of happiness and joy are infectious and allow those close to me to experience a much happier season rather than being distracted. Empathy (click for this heartwarming video by Dr. Brene’ Brown) is the greatest gift we give to each other as we survivors thrive on the journey of healing. “People with PTSD may experience symptoms of emotional numbing. As the name implies, people with PTSD may have difficulties experiencing certain emotions, especially positive emotions. A person with PTSD may know that an event is enjoyable, but simply be unable to experience joy and happiness associated with that event. I am now learning how to love the Holiday Season! It is still a challenge at times, but knowing why I “hated Christmas” for most of my adult life has been very healing and constructive for me and my loved ones. Each and every year at Christmas time, my wife, Judy, dreaded my annual announcement, “I hate Christmas!” The joyous season was no joy for me starting around Thanksgiving, and it was a feeling never understood until researching and writing my book. I usually did a pretty good job making others at home miserable during the Holiday Season. I even avoided contact with my kids who lived elsewhere during this time because it was so difficult to feel the joy that came so easily for others, so it seemed. Not knowing why one has certain negative feelings that affect those close to you is not good anytime of the year. But with increased awareness of the symptoms of PTSD and the pain of moral injury, it is entirely possible to experience the joy of the Holiday Season. This will be the second year in a row that Judy nor others will hear, “I hate Christmas.” I feel more joy now than ever, and very blessed. The journey of healing is well in hand for me and others in my family. My heart is more open to the spiritual meaning of Christmas as a Christian. My only regret is not knowing and learning much earlier in life about moral injury and the symptoms of PTSD. Living and coping with the pain is terrible for the person affected, but even worse for those you love, who have to live with this negative behavior. This time of the year is special and it is when we should all have forgiveness in our hearts, lots of love to share, and a desire to make a difference for others. When you engage in making others happy, you are much happier! I love Christmas! And the New Year looks like a winner too! This entry was posted in Uncategorized on December 23, 2013 by stevesparks.